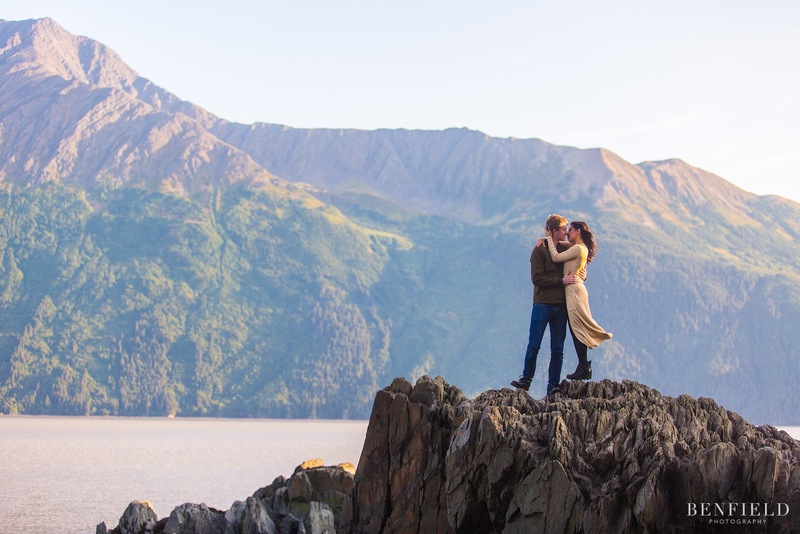 Before we hopped on a flight, I did a lot of research about where to shoot engagement pictures in Alaska. With the help of the bride, and a dear friend of mine (hey Sidra! 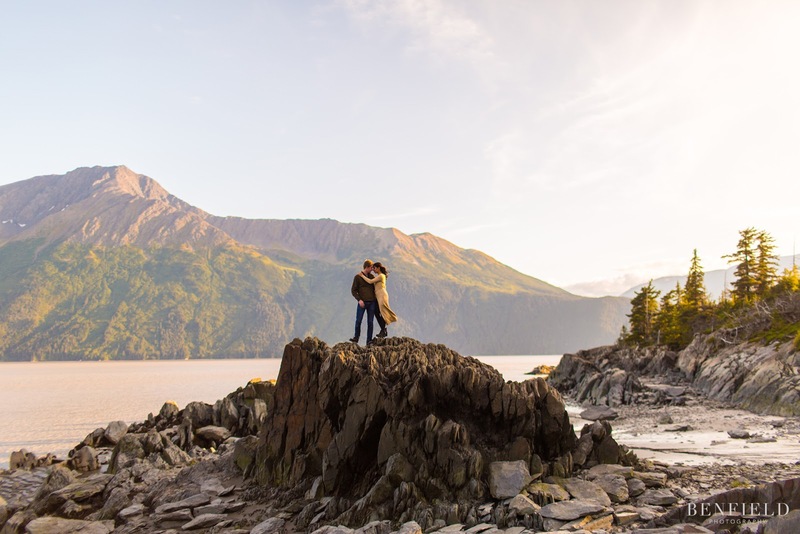 ), we narrowed down a few options for the engagement portraits: Beluga Point, Hatcher Pass, and a couple others. 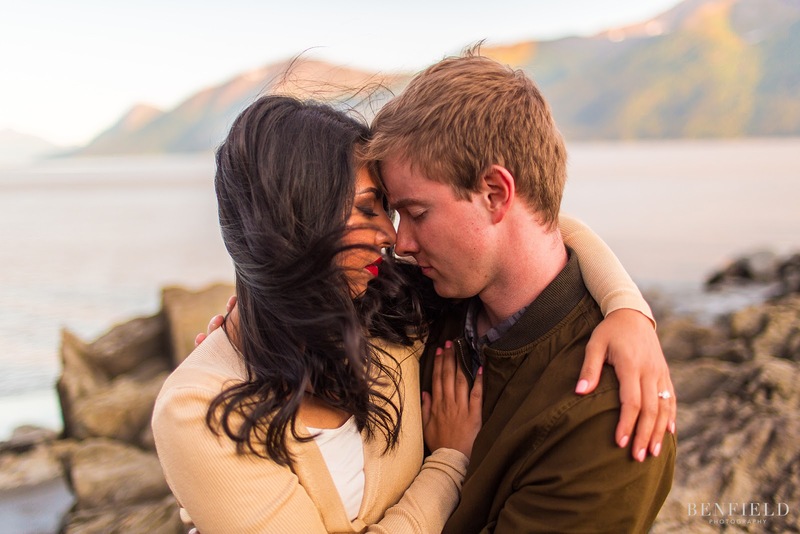 After a fun hike the day before, we decided that Beluga Point was the perfect backdrop for engagement portrait heaven. Though… not that easy to traverse; our shoes were covered in mud (the kind you pay a lot of money for during a spa day). While I didn’t mind the messiness, we had to be careful to not get Sidra’s clothes messy (because, duh… photo shoot). Our efforts were not in vain. The pictures are one of my all-time favorite engagement sessions (and I’ve shot half a thousand of them), and the couple is one of the most nearest and dearest to my heart. I definitely had extra motivation to knock it out of the park for them. I think I did, but you be the judge!